KING: W 87" | D 93" | H 95"
CAL KING: W 83" | D 97" | H 95"
MAJESTY "SILVER GREY" WITH SELF-BUTTONS, ANTIQUED MIRRORS, AND BLACK LEGS. Please note dimensions of bed, as it is over-sized and headboard does not fit through standard size doors. Item sold as shown online. 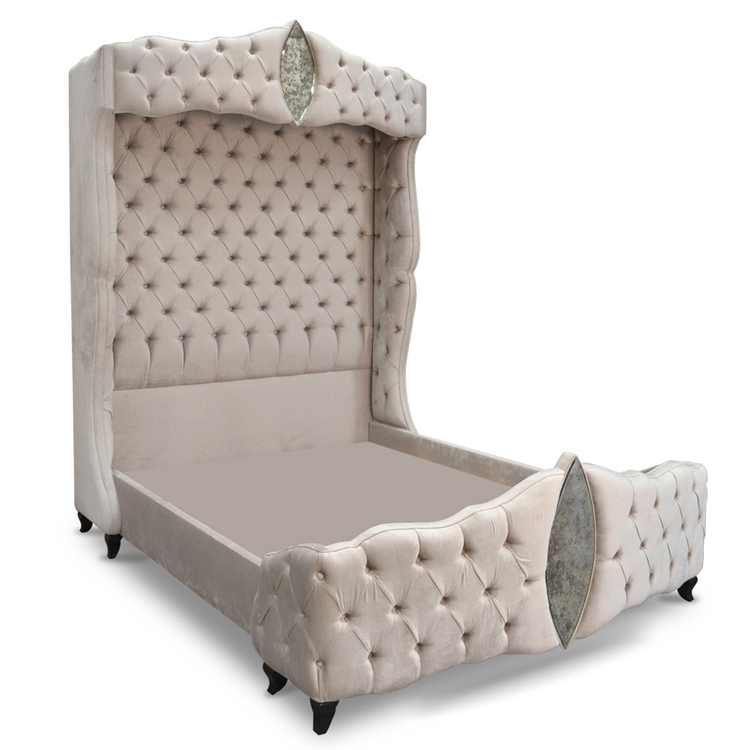 Call 323.256.2800 or email info@hautehousehome.com for custom options.